Image: fcafotodigital/Getty Images, gmm2000/Getty Images. Design: Ashley Britton/SheKnows. Well, here we have it: the most popular baby names of 2019 courtesy of Names.org — did your favorites make the list? We admit it. 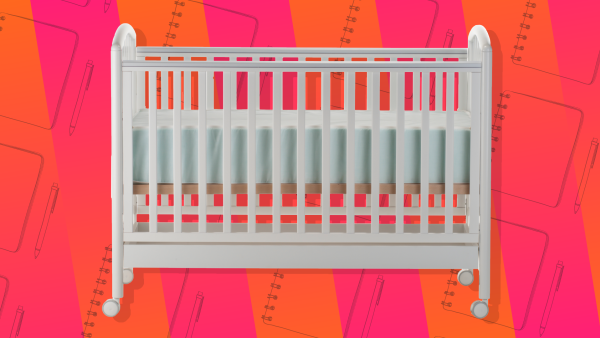 We’re suckers for baby-name predictions, forecasts, what-have-you. It’s entirely too much fun in a schadenfreude kind of way to figure out who will be the Jennifers and Michaels of 2030. Plus it’s good practice — if you *might* be in the market for a baby name — to get a sense of what’s out there already. (This Jennifer’s mother insists to this day she hadn’t heard of one other baby named Jennifer. Ahem.) Use the gift of the internet, parents. Knowledge is power. Names.org makes its predictions without the help of a crystal ball. The site uses birth data rounded up from the Social Security Administration combined with user interest at Names.org and voila! Magical name predictions that may make you broody for another baby — or at least a goldfish or two, so you can use any names that catch your eye. Those predictions are, well, predictable enough. But what we love are Names.org’s wild-card predictions: names that show a crazy jump in popularity, i.e., The Year of the Ashleys, 1983, when suddenly there were 18,000 more Ashleys on the planet than the year before. So what names are 2019’s long jumpers? So there you have it, 2019’s predictables and wild cards, served up by Names.org. Any surprises? Any “damn, that was MY idea” moments? We’ve got more baby name predictions for you over here, so be sure to check them out.